For over 40 years, Charles Glassware have been providing businesses within the UK hospitality industry with quality glassware that is decorated to their precise requirements. 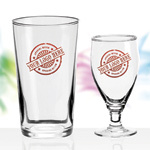 Because we are not tied to any one glassware manufacturer, the range of designs we offer covers every beverage and drinking occasion. Likewise, the quality of the decoration processes we offer (which include 8 colour print, acid etch, transfers and Headkeeper – the original and best nucleation process) are without equal, as is our reputation for service, support and competitive pricing. 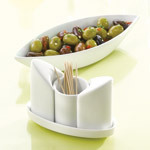 All this and we can provide toughened decorated glassware, too! To find out more, call Chloe or Des on 01536 311860 or visit our website. Having a function and need catering equipment hire? We can offer delivery and collection at very competitive prices, what ever size your function is from 10-500 plus. 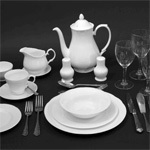 Bone China Hire is a small family run business. 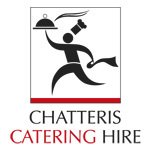 Established in 1988 we cater for anything from small dinner parties to large corporate events. We pride ourselves in providing a high standard of service for all clients. 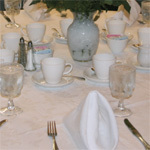 The crockery is plain white, fine bone china sourced from Staffordshire. The cutlery is English made ‘Dubarry’ pattern sourced from Sheffield. All glassware should be returned unwashed as the price reflects this and all other goods may be returned unwashed at a small extra charge. All items are priced in 10s although glassware may only be hired in full cases.